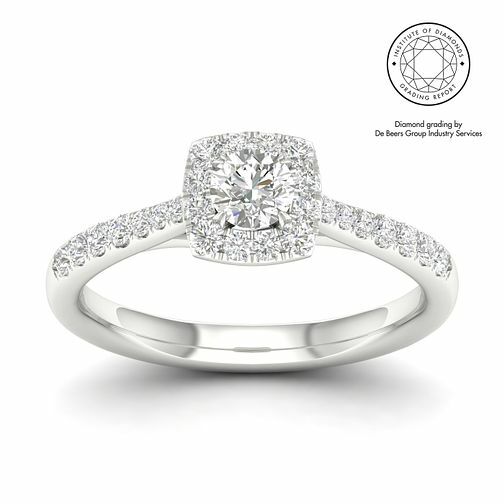 This divine diamond ring is luxuriously crafted from 18ct white gold, with a contemporary platinum setting for extra stone security. A dazzling display of diamonds presents a solitaire centrepiece surrounded by a cushion halo, complimented by sparkling stone set shoulders for indulgent elegance. 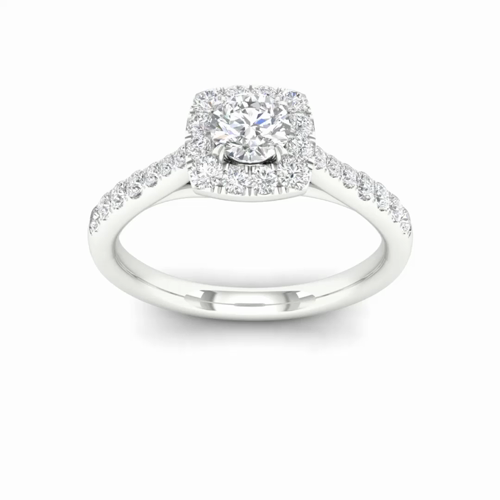 Certified by De Beers Group for colour and I2 clarity, the total diamond weight of this ring is 0.50ct.